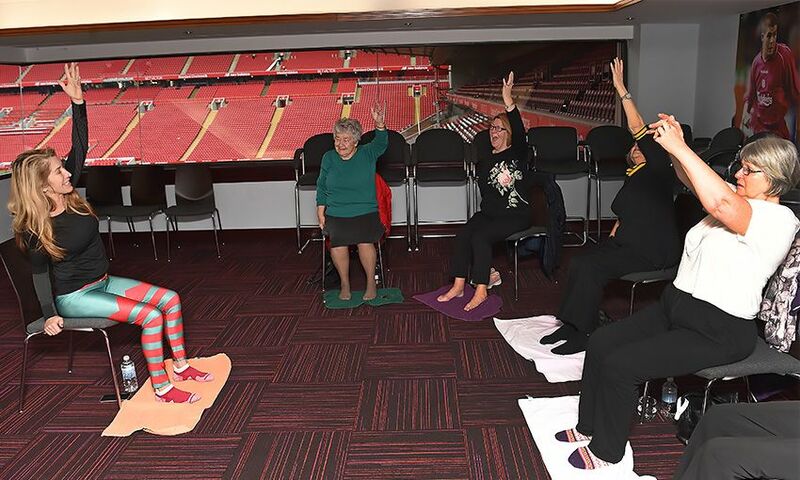 Liverpool FC's Red Neighbours programme is encouraging local residents to attend its chair-based yoga sessions. Aimed at participants looking for an introduction to physical activity, chair-based yoga is a gentle form of the exercise, practiced sitting on a seat or standing using the chair for support. Current attendees range from 50 to 92 years old, but the sessions are open to people of all ages, abilities and fitness levels. Classes take place every month in the Sir Kenny Dalglish Stand at Anfield. There are two opportunities to get involved during January - on Wednesday 16 and Wednesday 23, with both sessions starting at 11am. Chair-based yoga supports two of the key areas of focus for Red Neighbours: engaging with the elderly community and encouraging a physically active community. For more information on Red Neighbours' sessions and activities, follow @Red_Neighbours on Twitter.